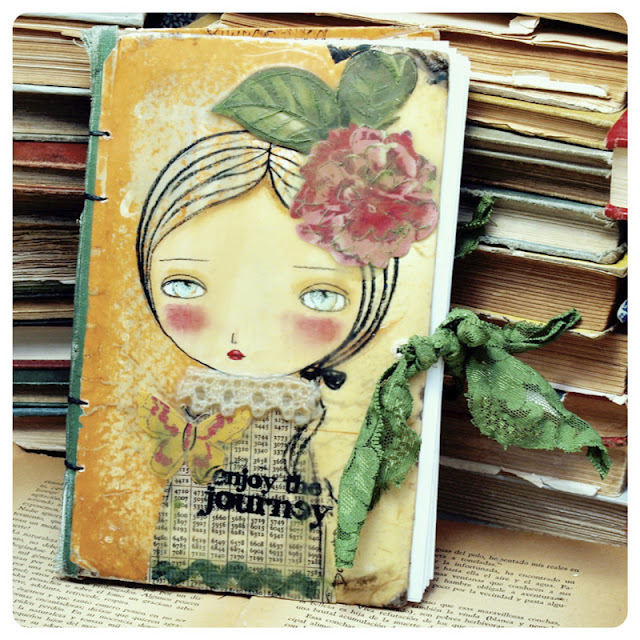 Yesterday I made a batch of Beeswax Encaustic Art Journals And Sketchbooks just for fun. I've been having the idea of creating sketchbooks for myself entirely from scratch using raw materials and I finally had the time to do it and I learned new cool things, like how to put together pages and sewing them to make a book, it's been a fun experience. It made me very very happy that they were so well received!!!! THANK YOU!!! They went up so quickly that a lot of people was asking me if they could see pictures of them so they are ready to order the new batch when it become available, so here they are for you to enjoy. 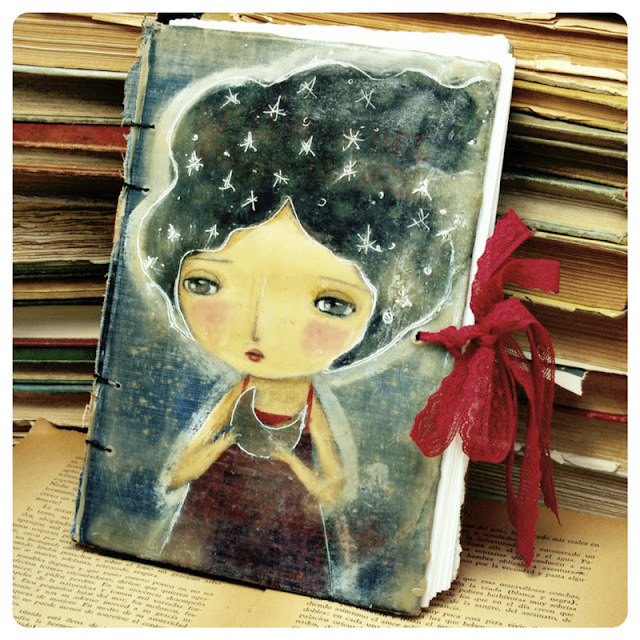 Each journal is a unique piece, made from a vintage book from the 1950's or older. 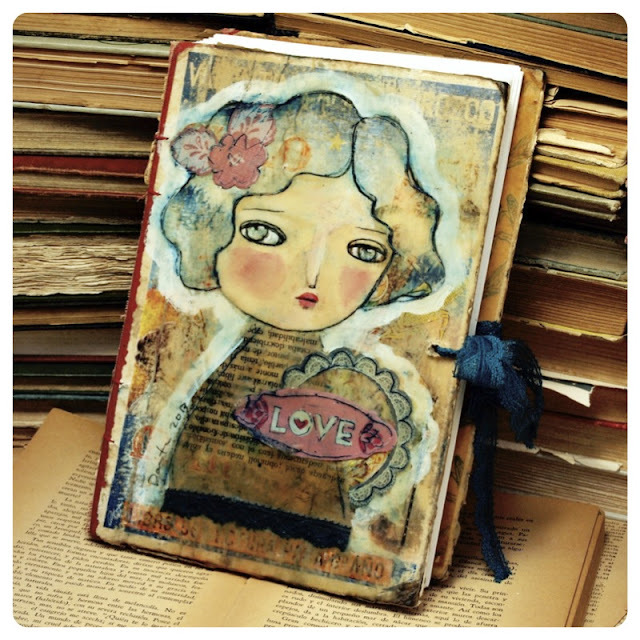 I made an original mixed media illustration on each of them, then covered on beeswax and carved on it to create a great encaustic piece. The pages are watercolor paper, hand compiled, cut and stitched to give it an even more organic book. 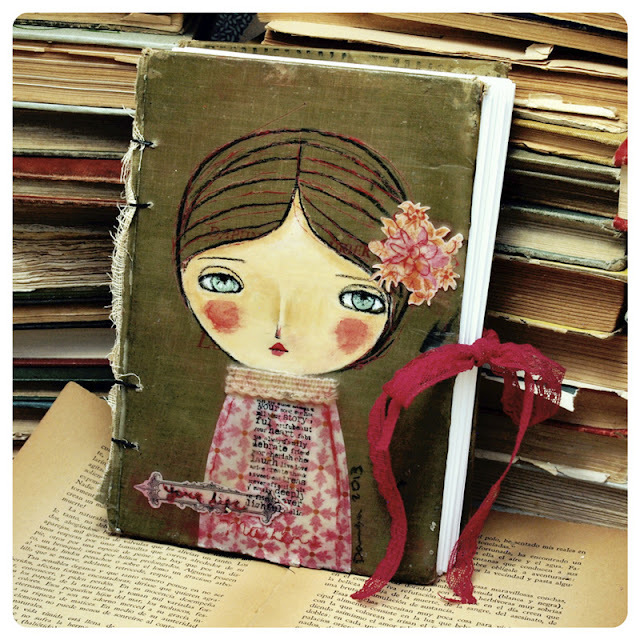 They will make wonderful art journals, artful sketchbooks and once you are done with all the pages, beautiful displays for your very own art. 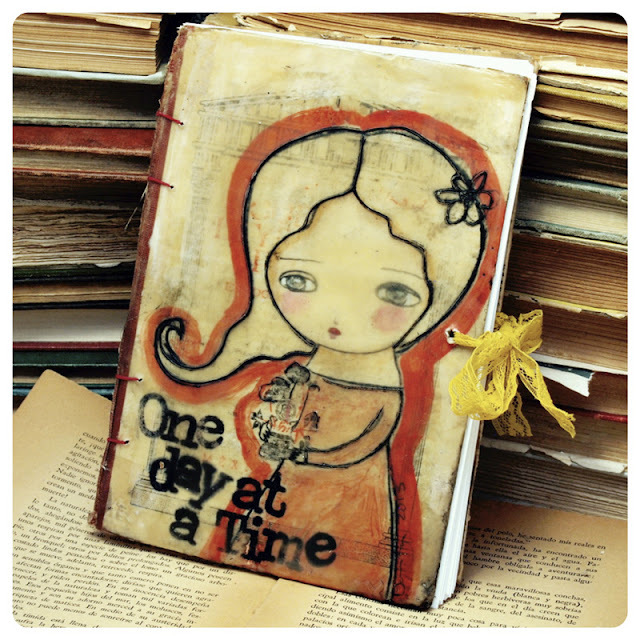 There are more journals like this coming soon, if you enjoyed these I know you are going to love what's coming soon... Stay tuned to this blog, my newsletter, my Personal Facebook Page and My Facebook Fan Page for previews and the buzz on when they are coming out. I would love to do such kind of work. It looks really different.